If you’ve been following our progress, you’ll know that our newest game Mozak is buzzing right along. 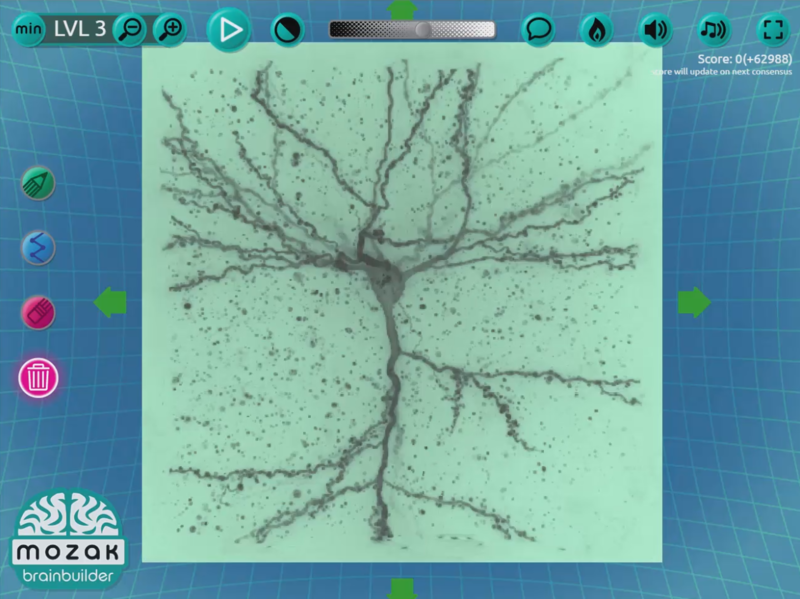 New features are creating a well-rounded, engaging game that will speed up neuroscience discoveries. To date, Mozak players have reconstructed 127 neurons! The best automated reconstructions end up only being about 20% complete, but Mozak players with no neuroscience background are generating reconstructions that are about 90% complete. They are even capturing sections of neurons that experts missed! This is a very exciting time at the Center for Game Science and we invite you to be a part of it by playing Mozak and by interacting with us via social media on Facebook and Twitter. The Center for Game Science at the University of Washington focuses on solving hard problems facing humanity today in a game based environment. Our focus is on scientific discovery games, games that discover optimal learning pathways for STEM education, cognitive skill training games, games that promote human creativity, games that explore collective over individual intelligence, and many more.